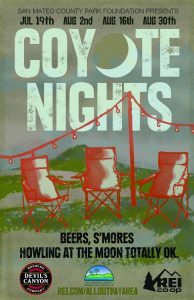 Home Information Coyote Nights is back for Summer 2018! 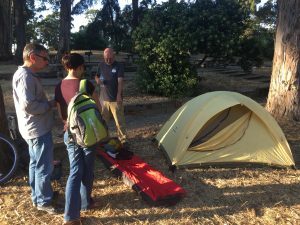 Reserve your spot and join us for one or all of these evenings and get to know Coyote Point and all 22 San Mateo County Parks a little bit better. This event is free for San Mateo County Parks Foundation members (memberships start at $25). This event is free for children and youth under 18. For all non-members, the cost of entry is $10. REI Co-op: What began as a group of 23 mountain climbing buddies is now the nation’s largest consumer cooperative. But no matter how large we grow, our roots remain firmly planted in the outdoors. Our passion for outdoor adventure is clear. Each year, REI donates millions of dollars to support conservation efforts nationwide and sends dedicated teams of volunteers—members, customers and REI employees—to build trails, clean up beaches, restore local habitats and more. Through responsible business practices across the company, we strive to reduce our environmental footprint. Devil’s Canyon Brewing Company: Devil’s Canyon has received over 35 craft beer awards and received the 2009 “People’s Choice” award at the San Francisco International Beer Festival. In 2013 it was voted the favorite Bay Area Brewery by SF A-List readers. In 2014 San Francisco A-List readers voted Devil’s Canyon Brewery the Bay Area’s “Best Beer Bar”. 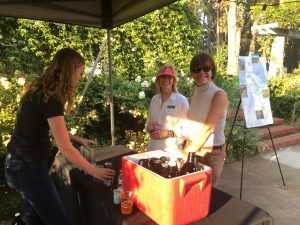 The brewery was awarded “Business of the Year” by the City of San Carlos and the San Carlos Chamber of Commerce. Devil’s Canyon has a core branding of six beers, and produces seasonal specialties in limited runs as well as a very popular root beer. 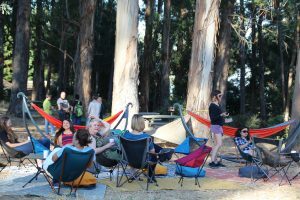 Coyote Nights, Coyote Point, Devil's Canyon, parks, REI, San Mateo County Parks, san mateo county parks foundation, summer event. Bookmark.